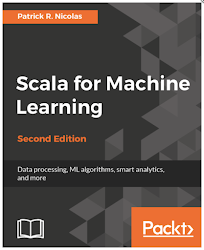 In Scala, the tail recursion is a commonly used technique to apply a transformation to the elements of a collection. 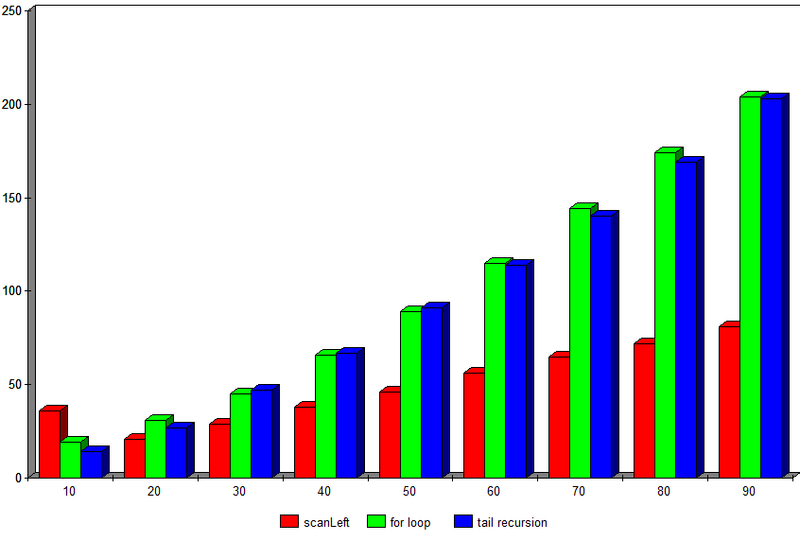 The purpose of this post is to evaluate the performance degradation of the tail recursion comparatively to iterative based methods. Such algorithms are widely used in signal processing and technical analysis of financial markets (i.e. moving average, filters). The second implementation relies on the scanLeft method that return a cumulative of transformed value f(Xn). Finally, we implement the polynomial transform on the sliding array window with a map method. For the test, each of those 3 methods is executed 1000 on a dual core i7 with 8 Gbyte RAM and MacOS X Mountain Lion 10.8. The first test consists of executing the 3 methods and varying the size of the array from 10 to 90. The test is repeated 5 times and the duration is measured in milliseconds. 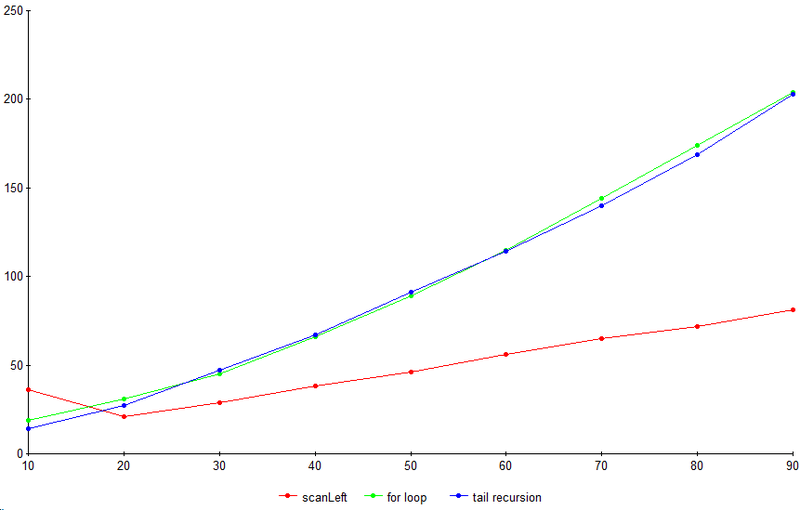 The tail recursion is significantly faster than the two other methods. The scan methods (scan, scanLeft, scanRight) have significant overhead that cannot be "amortized" over a small array. 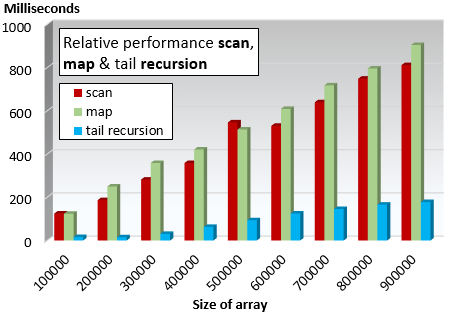 It is worth noticing that the performance of map and scan are similar. The relative performance of those 3 methods is confirmed while testing with large size array (from 1,000,000 to 9,000,000 items). Excellent and detailed stats. 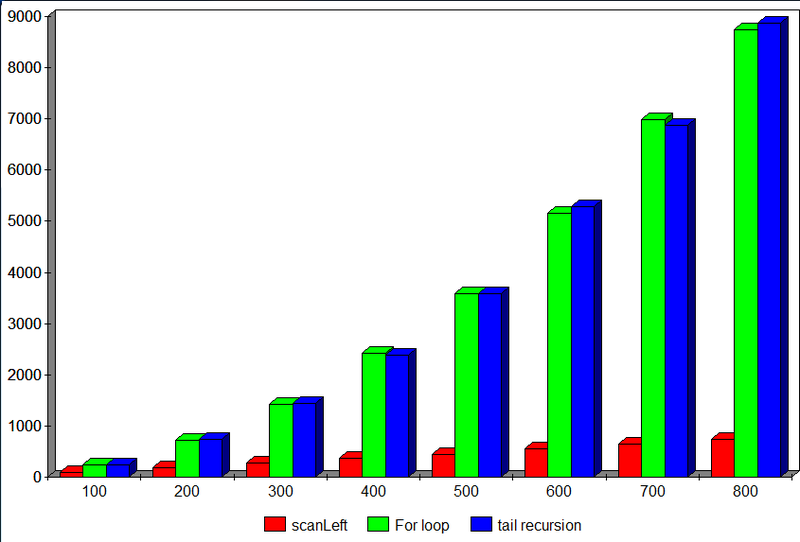 The poor performance of the for loop is not surprising .. and already well documented. 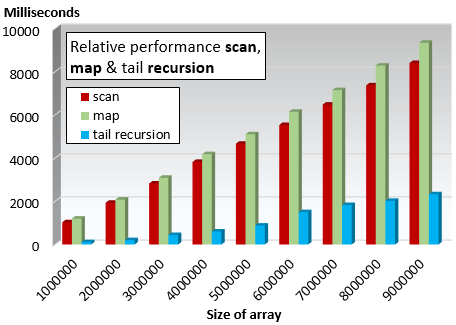 Have you thought of comparing the performance of recursion call between Scala and Java?